This all-natural line of products are luxuriously soft and beautiful. This premium line is a haven for those of us with allergies as well as a source of comfort for anyone seeking to relax physically and mentally. 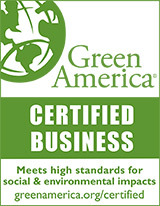 No chemical ingredients, chemical bleaches, chemical dyes, chemical finishes, or formaldehyde. 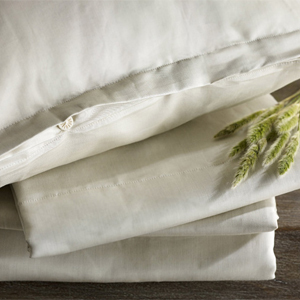 The natural fiber and natural fiber blends used for The Purists include 100% certified organic cotton, Egyptian cotton, linen, linen/cotton blends, virgin wool, silk, cashmere, and our innovative Legna fiber. The natural aesthetic beauty combined with a soft feel and high quality finishing make The Purists a wonderfully satisfying luxury for the home. In this collection you can find many uniquely designed items that not only give a natural look and feel, but also beautifully adorn your home. Our jacquard weaves and creative use of naturally colored fibers produce stunning appeal. 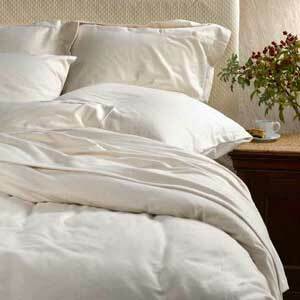 The Basic Bedding Collection includes Purists Doppio Sateen Sheets, Far East Covers and Blankets. 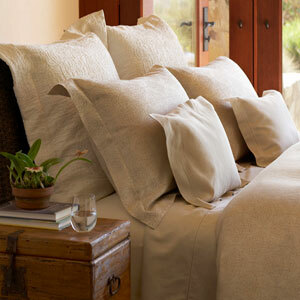 In creating your own bedroom sanctuary, a strong foundation will get you started. The Purists Basics are immaculately finished products that are meant to comfort you with the same high quality feel you'd expect and provide the setting for your next decorative touch. With our full range of coordinate bedding collections, you can now design an entire bedding ensemble full of Organic Cotton duvets, sheets and cases. 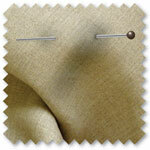 Purists Doppio Sateen Organic Cotton: Doppio Sateen replaces Purists Classic Sateen. Bergamo: Represents nature at is most beautiful. An intricate leaf jacquard, that combines Egyptian cotton and all natural linen yarns to complete this complement to mother nature. It's designed to coordinate beautifully and easily with Classic Linen, Brighton. 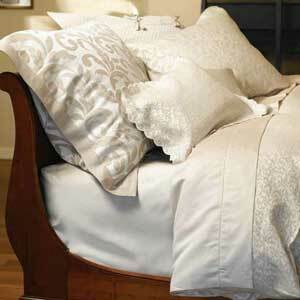 Jasmine Linen or Linen/Cotton: This is the enduring signature pattern of SDH. The true purity in this design exemplifies the key SDH philosophy of natural, classic elegance. Jasmineís clean, quiet grace and timeless sophistication have made this collection a classic worldwide. Good Night Naturals offers the complete line of The Purists from SDH, at great prices and always with caring customer service! 866.388.5154.